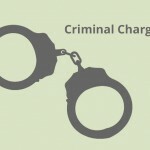 A criminal charge is a formal accusation asserting that someone has committed a crime. Criminal charges are made formal by a government authority. To start a criminal case in court you need a charging document, which can take the form of a complaint, information, an indictment, a police citation, and / or a traffic ticket. Most often, the charging document is a police arrest report and that report is given to the prosecutor who decides what (if any) charges to file. Prosecutors are able to file charges on all of the crimes for which the police arrested the suspect for, or they can file charges either more or less severe than the charges cited by police. The next step is a preliminary hearing, which can take place more than a month after the initial arrest of the suspect. At the court hearing, the judge will read aloud the criminal charges against the person (referred to as the “defendant”). The judge will ask the defendant to enter a plea of either “not guilty,” “no contest,” or “guilty.” Even if a defendant is indeed guilty, they can enter a plea of not guilty if they feel there is not enough evidence to prove their guilt. Other things that are taken into consideration at the time of sentencing include the defendant’s criminal history, evaluations for mental health or chemical dependency (if they were done prior to the sentencing hearing), and anything that a victim or victim’s family say when given their opportunity to speak. The punishments for criminal charges can vary greatly, from minor criminal charges (misdemeanors) to more serious criminal charges (felonies). The process to determine the punishment for a criminal charge that is a felony is much lengthier than the process to determine the punishment for a misdemeanor. Anyone facing criminal charges in the United States have basic Constitutional rights, known as the Miranda Rights. The Miranda Rights are read aloud to anyone facing criminal charges and include habeas corpus, the right to remain silent, and the right to an attorney. An individual facing a criminal charge (or charges) will always be prosecuted in the state in which they committed the criminal charge. Minor violations, such as parking tickets or speeding tickets, are not prosecuted too harshly, however misdemeanors and felonies are considered serious charges and range from shoplifting to murder. It is truly best to speak with a criminal defense lawyer about your case to ensure that your rights are protected. Anyone who is facing a criminal charge should hire an experienced criminal defense attorney to represent them, to ensure that their rights are protected and that they obtain the best possible outcome. Contact us today for legal aid with your criminal charge!